I, the undersigned, on behalf of my dismayed and aggrieved relations, and for the sake of good governance in Ghana and peace in Anlo in particular, has been compelled to bring to your attention the ongoing misuse of the security forces to protect and promote the illegal activities of the impostor to the Anlo Awoamezi, ex-police commissioner of Police of the Volta Region, Mr Patrick Agboba. He is currently facing another charge of contempt of court before an Accra Fast Track Court, having been convicted on a similar charge in 2003 in a Ho High Court. I am imploring you to use your authority as the President of Ghana to call a halt to these illegalities, which have now taken the ugly turn of the wanton misuse of the security forces, under the direction of Col (rtd) Gbevlo-Lartey and the Volta Regional Police Commissioner to engage in the harassment and intimidation of the relations of the plaintiffs who have taken the culprits to court. Failure to do this may lead to the break down of the uneasy peace that presently prevails in Anloga, and the buck rests with you. As I have no doubt your office is aware of, the late President John Atta Mills was lured by deceit and subterfuge to give his nod of approval to the so-called outdooring of Mr Patrick Agboba on 21st February 2011, in spite of the fact that the aggrieved parties made serious efforts to alert the Office of the Presidency through Mr Bebaako Mensah, for example, to the falsehood of the claim being pandered about that a settlement had been reached between the disputing parties. We consider this as a hypocritical and double standards blots on the legacy of the late President John Atta Mills, considering the position he took on the Ga Mantse dispute. I recognise the special handicap you face in this dispute in view of the family relationship you have with some of the culprits through your step-brother Ibrahim’s mother, whose forebear is of common ancestry to this writer too. But, this should not influence you to continue the policy of the late President, even though rumours exist that you were allegedly responsible for convincing him to support the mischief makers. And we are, of course, aware that you too had gone to greet Mr Patrick Agboba in his pretentious and untenable position as Awoamefia of Anlo. 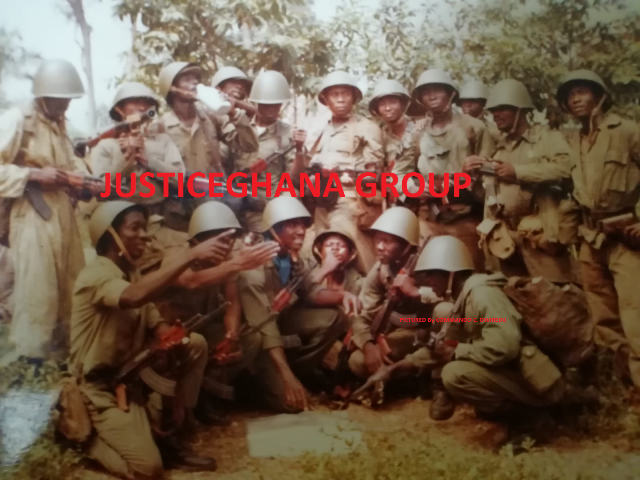 In the recent attempt to redress the uncustomary, illegal and so-called outdooring of Patrick Agboba at the site of Nyigblaveme, which used to be the pre-colonial execution ground for condemned convicts in Anlo, and not where the Awoamefias were outdoored - yet another blunder similar to his initial uncustomary nomination and endorsement in the Ministry of Trade office of Mr Dan Abodakpui tight security was again supplied by the government. In the aftermath of the open and latent opposition and humiliation they met even among the invited guests, Mr Patrick Agboba has got the Regional Police office in Ho to start the harassment of the supposed leaders of the opposition to his tragic-comedy of errors, with intent to intimidate and silence them. A poor young man, Belief Tay Amegago, was seized, taken to Ho, locked up in police cells for days and later on put on some trumped up charges. Four other people were declared wanted by the Police. These are in the persons of Amega Atsu Korkor, Head of the Fuiga Agbeve lineage, Mr John Togobo, a principal member of the Fuiga Agbeve lineage and Mr Samuel Adrah, an active youth leader of the Fuiga Agbeve lineage, all opposed to the impostor. The last is Amega Samuel Ekpe, a principal member of the Adika Drafor lineage and Chairman of the Adzorvia Clan Development Foundation, also opposed to the impostor. A Ho Circuit Court subsequently refused the Police warrants for their arrests, as no prima facie case had been established against them. That did not stop the police sons of Mr Patrick Agboba (one of them is on interdiction), who are laws to themselves in Anloga and were involved in the unlawful seizure and imprisonment of the bailiff from Ho, and was thus prevented from serving another injunction on the culprits in February 2011, to allegedly print a purported Police wanted notice which was pasted in Anloga. Of course, no one initially wanted to honour the rogue actions of those entrusted with authority to enforce the laws of our country turned rogue elements. In any case, two of the said wanted persons, Amega Samuel Ekpe and Mr John Togobo, after consultation with their lawyers, travelled to Ho in order to find out what was really happening. After spending the whole day waiting for a response, the Commissioner of Police ordered that they should be locked up, without any charges preferred against them. The next day, they were taken to Anloga and their premises searched, for what, only the Police knew. The point is, if any material is found opposing the impostor Patrick Agboba who is an ex-convict for contempt of court, can this be considered incriminating evidence against them, since these will be part of the evidence the plaintiffs may be using to oppose the culprits even in court? To even go and seize any evidence in the possession of the plaintiffs and/or their family members is tantamount to illegality and blatant abuse of power and interference with the justice system: stealing your opponents’ evidence! The two elders have also been put on same trumped up charges of conspiracy to commit crime, offensive behaviour and publication of false news and granted court bail before a magistrate court in Ho. This in itself is an anomaly, as the court does not have jurisdiction over the preferred charges of misdemeanour in the Keta District. The Police claimed to be the complainants, of course, acting on the behest of the impostor! We the family members and their supporters cannot sit down and allow this blatant misuse of the security forces under your watch to harass and intimidate our leaders any longer. I am therefore putting out this open letter to all to read, so that the Office of the Presidency and Col. (rtd) Gbevlo-Lartey would not claim again that they are not aware of the true facts of what is happening in Anlo. Please halt at once these blatant abuses of incumbency to harass and intimidate those who have taken Mr Patrick Agboba and his law breaking henchmen to court in order to seek justice. Please, curb the prevailing, widespread incidences of lawlessness in Ghana by even public officials! Our elders shall be sending you a formal protest letter. May you have the strength of character to act prudently and judiciously! Posterity shall judge you harshly if you don’t.